Hello! 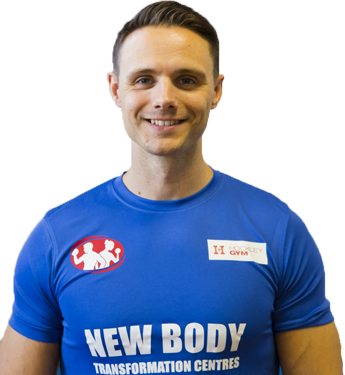 I’m the owner of New Body Gym and Personal Training Studio – a great little gym in Essex. I also own an educational academy called The Vocational Academy, which delivers adult education courses from the fitness industry to teacher training, business, security and Psychology. But this page is about what I love, being the top personal trainer in Essex. I started my little gym and educational academy a number of years ago now. My educational academy started off delivering personal training courses for the fitness industry, which then grew from there. I have spent a number of years now teaching aspiring personal trainers to get qualified. Many of my team you see on the personal training page graduated from my academy. My aim has always been, and always will be to professionalise the fitness industry. Which is why I have become a top personal trainer in Essex to raise the bar and set the standard. At the end of the day, every client/patient who walks through that door to see me is an individual, with individual needs. I continue to offer my services not because I need to, but because I choose to. My dedication is to my clients, patients, students and my team – because I love my job! For over a decade I have been a personal trainer in Essex on a part-time or full-time basis. I have not stopped studying since I left school. Why have I studied so much? Because this is my passion. Simple as that….. I am obviously very busy trying my hardest to make my businesses (my passion) a continued success…..because the more successful they are, the more people that benefit from the service of integrity me and my team offer.